In December 1775, the Council of Safety ordered Colonel William Moultrie to erect a “fascine battery for four cannon, 18-pounders, at Haddrell’s Point with all convenient dispatch.” He was directed to use two hundred men commanded by a major to construct this battery. Captain Barnard Beekman would provide the artillery regiment to serve as the garrison. The battery was placed at a strategic location on the southern tip of Haddrell’s Point to defend the inner harbor and the Hog Island channel. Named for an early settler, Haddrell’s Point was along the shore facing Charles Town and extended from Shem Creek to Cove Inlet. Major Charles Cotesworth Pinckney commanding four captains, eight junior officers, and two hundred privates joined by a number of mechanics and laborers crossed the harbor under the cover of darkness on December 19, 1775. John Drayton recorded that “on landing at Haddrell’s Point, they fell to work with such spirit, that by daylight they were covered from the shot of the ships,” meaning the walls of the battery were erected. On the following day, the embrasures were completed, gun platforms laid, and the four guns were mounted. 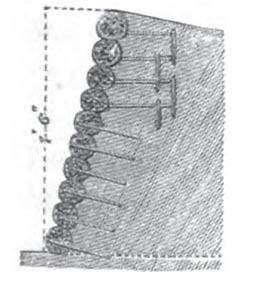 The battery was fifty-eight feet long and protected along the exposed front with 228 fascines. Fascines were long bundles of sticks bound together and used in the building or strengthening of military earthworks and batteries. They were used as early as the Roman Empire era and the technique continued through World War II. 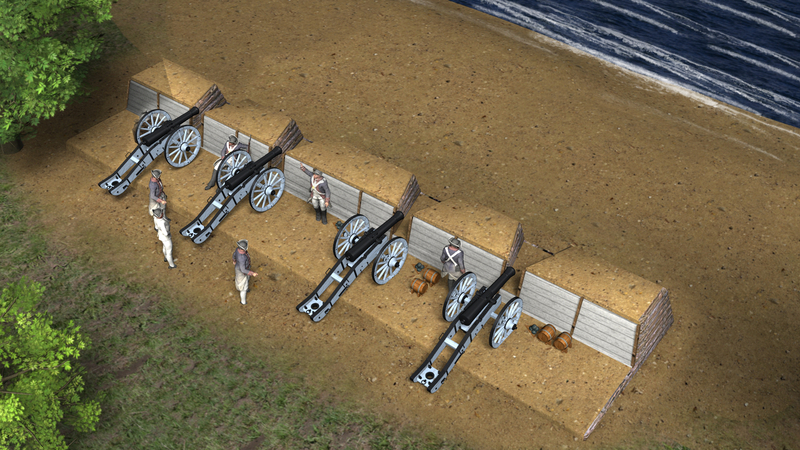 As instructed, the new battery was armed with four 18-pound guns on field carriages. In late December, the new battery successfully chased off the HMS Tamar and HMS Cherokee, still anchored in Charleston Harbor. The British ships moved and set anchor off Sullivan’s Island until they left the region completely on January 6, 1776. The battery was located at the end of present-day Schweers Lane, adjacent to Pitt Street. The site of the fascine battery was later the site of the Mount Pleasant Mortar Battery and Battery Gary during the Civil War. Town of Mount Pleasant Historical Commission, “Haddrell’s Point Fascine Battery-1775-Revolutionary War,” Mount Pleasant Historical, accessed April 21, 2019, http://mountpleasanthistorical.org/items/show/90.